← 5 Title Insurance Tips! In certain areas of Florida, having flood insurance is required for a home mortgage by the lender if any portion of the parcel is located within a high risk flood area. For some consumers who have never carried a flood insurance policy before, this can be a different process from what they have been accustomed to through carrying a hazard insurance policy. 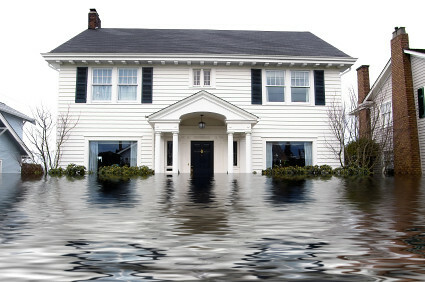 Let’s examine the aspects of carrying a flood insurance policy. One of the first misconceptions that some consumers have is that the Federal Emergency Management Agency (FEMA) offers flood insurance. This is not the case, FEMA does NOT offer flood insurance. The role of FEMA (among many other things) is to create the flood maps. Another misconception is that once the flood maps have been drawn then you don’t have to worry about carrying a flood policy. This is again not the case. FEMA has the right to redraw flood maps at any time; and does on a regular basis. Therefore, just because ones home isn’t in a flood zone now, doesn’t mean that it couldn’t be later. In the event that this happens, they will need to obtain a flood policy. As I previously mentioned, one must get flood insurance if any portion of their parcel is located within a high risk flood area. It is considered high risk when it is in a 100 year flood stage. It is the responsibility of the Appraiser to mark on the 1004 (appraisal) whether or not the property is in a flood zone. There are different degrees of flood zones and whatever is reflected on the 1004 is what has to be reflected on the flood insurance policy. If these do not match accordingly, the flood policy will need to be revised and updated. FEMA administers the flood insurance program through the aptly named National Flood Insurance Program (NFIP). NFIP controls the underwriting and premium setting process on flood insurance policies. This means that no matter what private carrier one uses to obtain a flood policy, it will always cost them the same amount. Premiums are determined by many variables such as occupancy, number of floors, location of contents and the age of the property itself. A Loan Officers responsibility is to simply inform the borrower that they need to obtain a policy and for them to do so through a private carrier of their choice. Posted on October 21, 2013, in Finance and tagged 1004, Bonita Springs Loan Officer, Cape Coral Loan Officer, Estero Loan Officer, FEMA, Flood Insurance, Flood Zone, Florida Loan Officer, Fort Myers Loan Officer, Lender, Loan, Matt Pell, Mortgage, Mortgage Warehouse, National Flood Insurance Program, NFIP, No Closing Cost Mortgage, Property Guiding, Real Estate Financing, SWFL Real Estate, The Federal Emergency Management Agency. Bookmark the permalink. Leave a comment.